standard by American Nuclear Society, 12/20/2000. standard by American Nuclear Society, 01/01/1995. standard by American Nuclear Society, 01/01/1987. 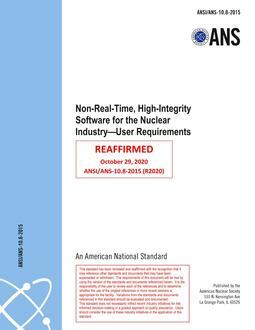 standard by American Nuclear Society, 10/28/2008. 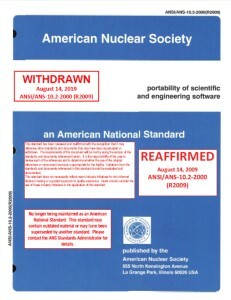 standard by American Nuclear Society, 04/17/2006. standard by American Nuclear Society, 03/18/2013. standard by American Nuclear Society, 11/19/2015. standard by American Nuclear Society, 01/01/1975.